At some point, you'll need to renew your certificates if you configured your application gateway for SSL encryption. To renew a listener certificate from the portal, navigate to your application gateway listeners. 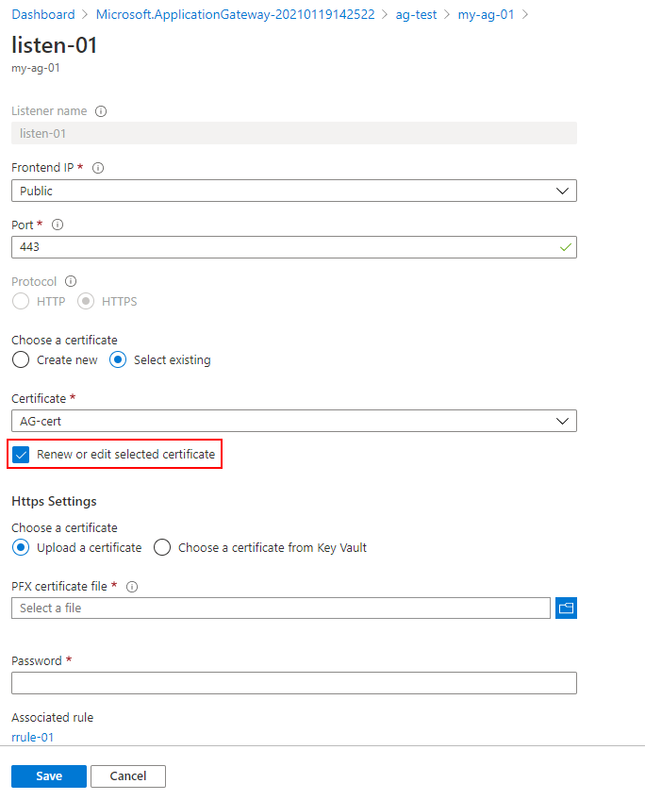 Click the listener that has a certificate that needs to be renewed, and then click Renew or edit selected certificate. Upload your new PFX certificate, give it a name, type the password, and then click Save.